Manage your iOS apps your way. 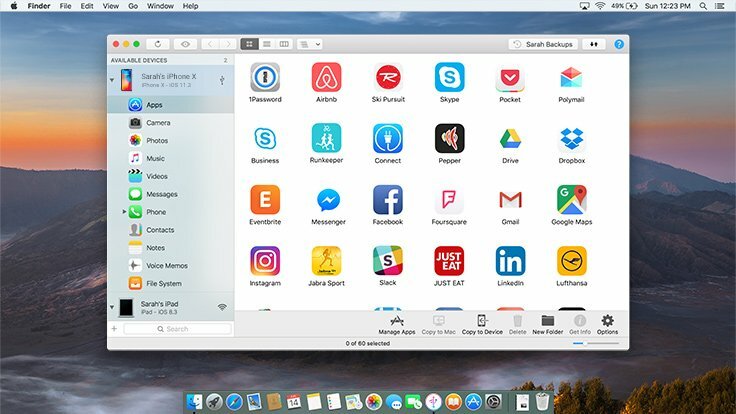 Enjoy a powerful tool to download your apps (.ipa) to your computer, and install them to your iOS devices. Save and restore your game progress or app documents and settings. 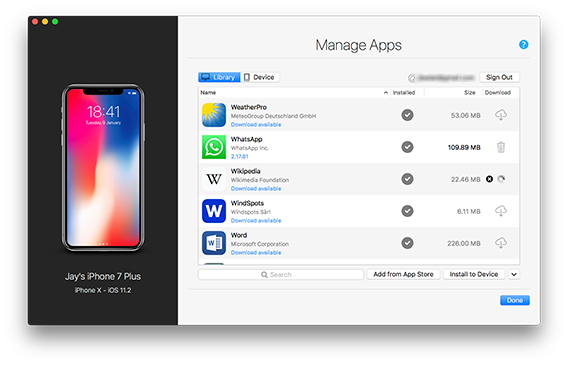 Now that iTunes doesn't have app management anymore, iMazing is the simplest and safest way to download your apps (.ipa) from the App Store. Save bandwidth Download once, install many times. 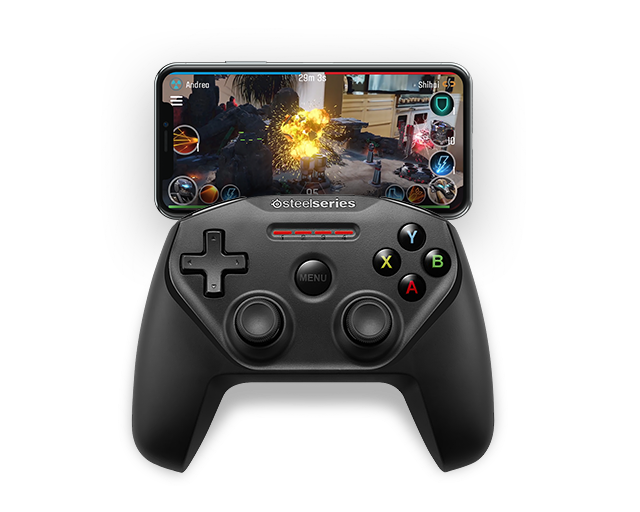 It's faster and respects your data cap. Keep old apps in case they disappear from the App Store. Hang on to a specific version. Not enough storage on your iPhone or iPad? Uninstall apps in bulk, without a complex iTunes sync. Back up your apps' data and enjoy the extra gigabytes while you're on holiday. 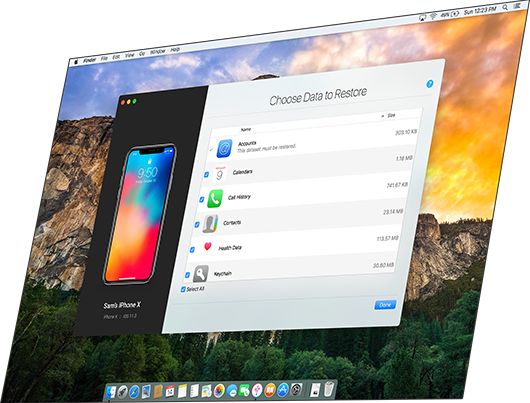 Choose which apps to keep when you transfer your data to your new iPhone 8 / X or iPad Pro. Keep your WhatsApp conversations flowing. 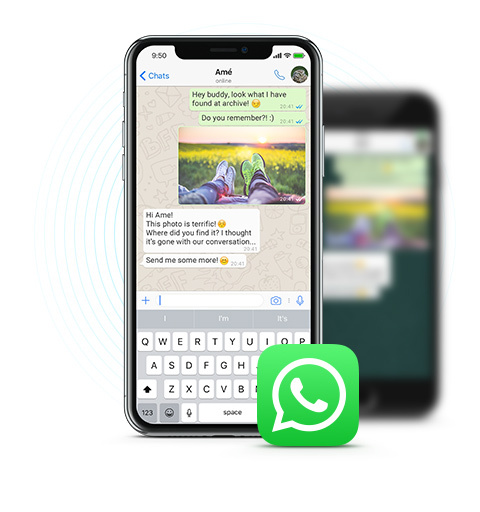 With iMazing, you can recover WhatsApp messages from a backup. 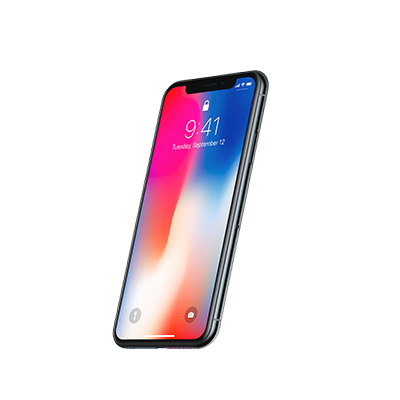 You can also transfer them to another iPhone. Privately, securely, and without iCloud. iMazing also works with Line and other chat Apps. Enjoy a great, reliable app management tool that works for many tasks. Need to install IPA files on your phone? Done! 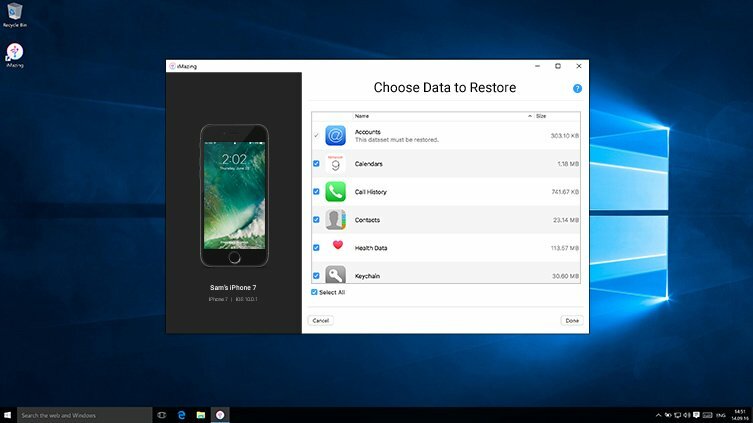 You can even add an app from your iPad to your iPhone's backup before restoring it. 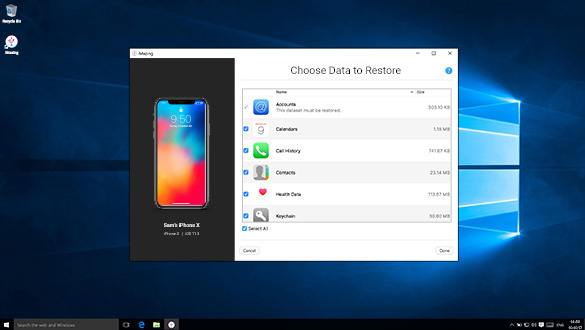 Or extract app data from a backup to restore it to your device. 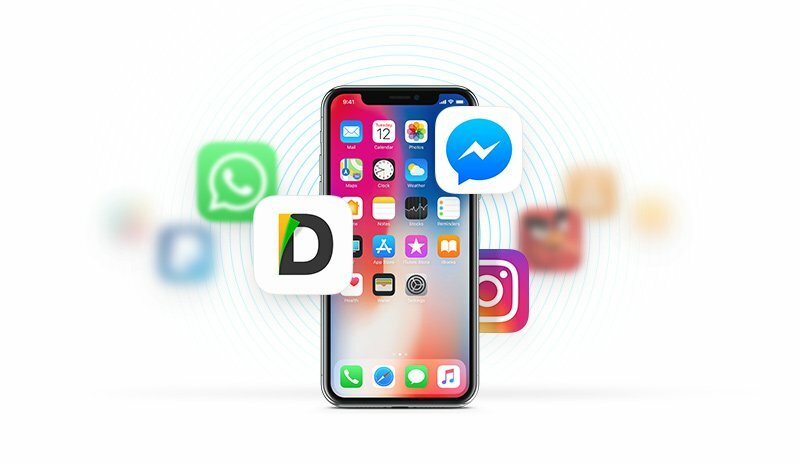 Transfer and restore your iPhone app data with a trusted software. Used by over 10 million users, iMazing works on any Mac and Windows computer.